I think I’ve found a favorite Korean restaurant in my area! 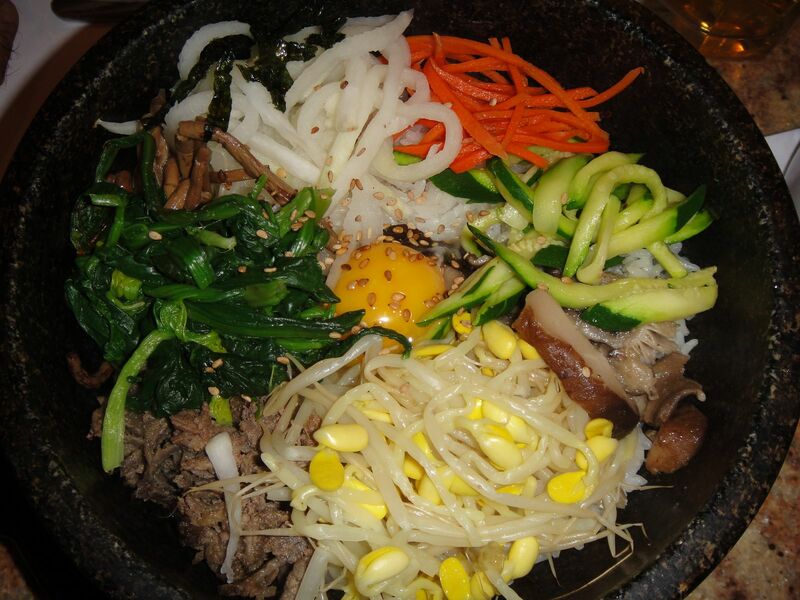 I haven’t tried the BBQ at Jang Su Jang yet but everything else we’ve tried is great. 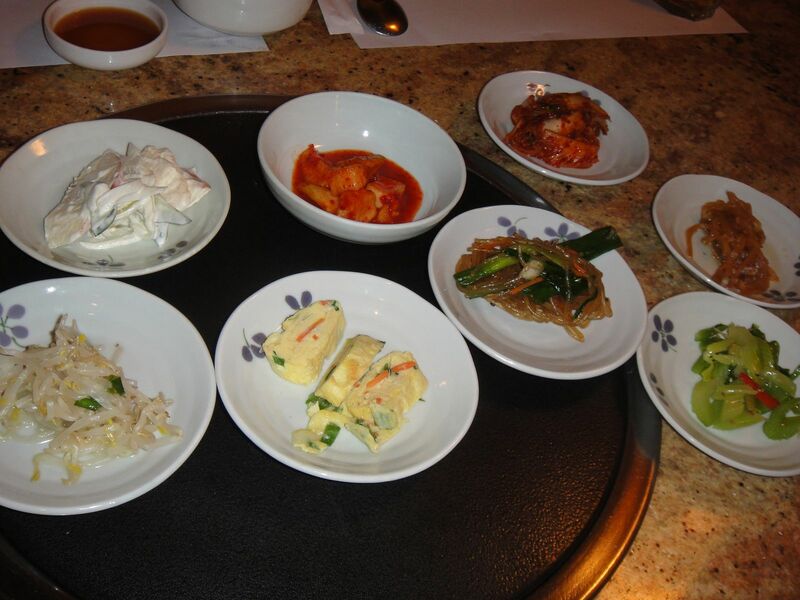 Love the banchan. The jap chae is always one of my faves. 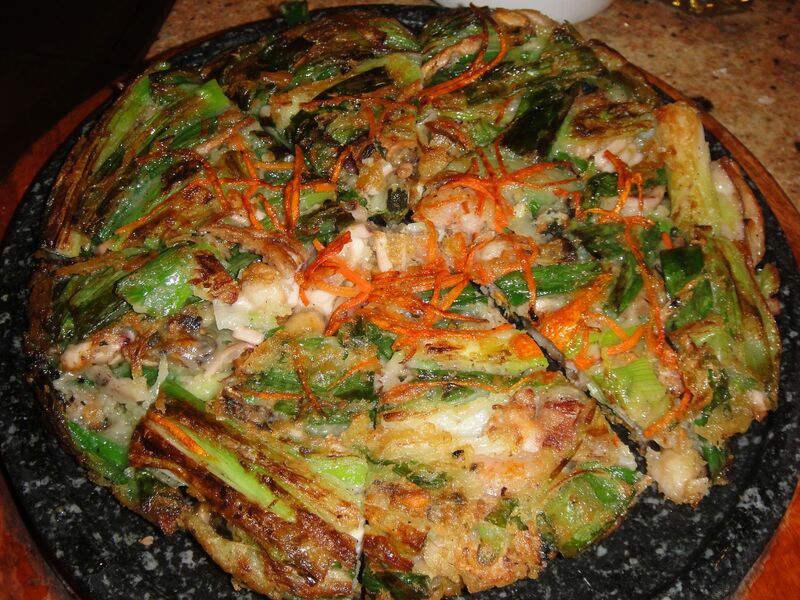 Based on Yelp reviews, we ordered the seafood pancake. It had tons of seafood mixed in and tasted great. It tasted the best when it was still sizzling after it was brought to our table. My parents and I all ordered the dolsot bibimbap. My Dad loves when the rice burns on the sides of the bowl and get crunchy. TM went with a spicy beef noodle soup. If you can’t tell by the picture, the soup was pretty spicy. It was temperature hot AND spicy hot! Just how TM likes his food. At the end of your meal, everyone gets a little yakult like drink. These little yogurt drinks are great to cut the heat of the food. We’ve gone to Jang Su Jang a couple times now and it’s always been packed. I know this place is good because most of the patrons are Korean. It’d be wise to make reservations before you go. 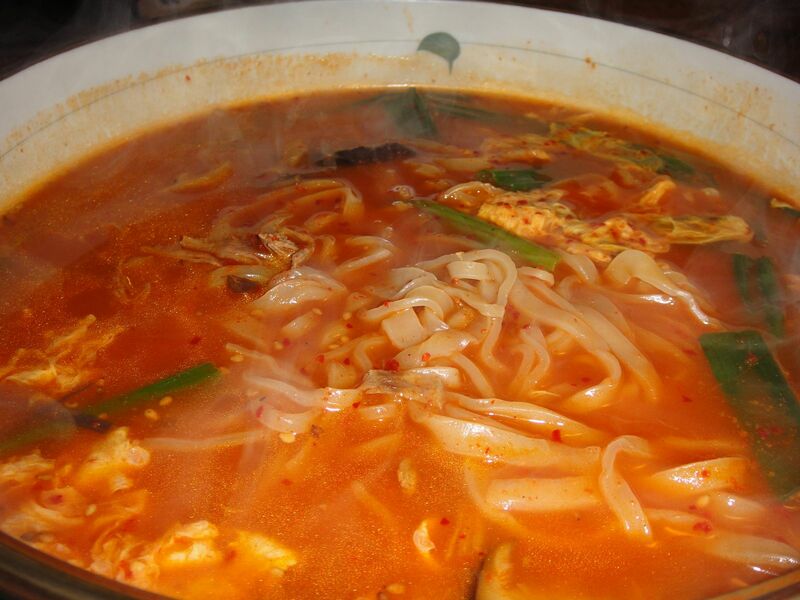 You are currently browsing the For the Love of Food weblog archives for April 2011.